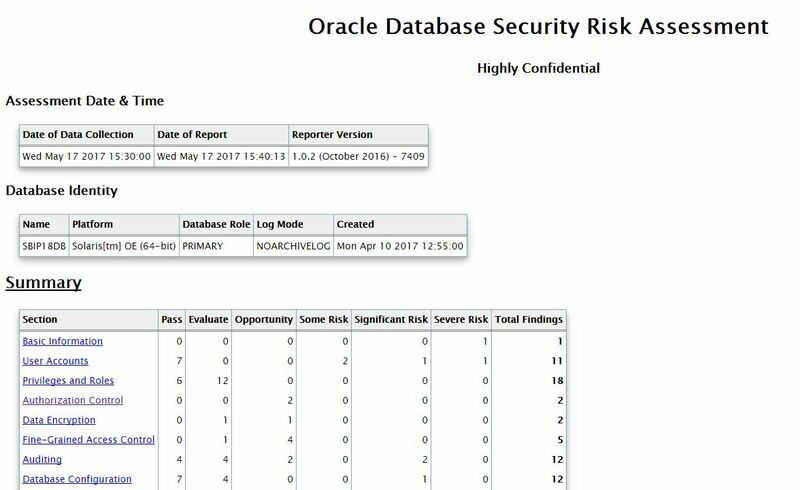 The Oracle Database Security Assessment Tool, commonly know as DBSAT tool is used to scan the complete database and provide report security configuration and vulnerability list. The Reporter – It will analyze the database and provide its findings in the report. 2. Copy that tool and unzip it. Make sure to set proper ORACLE_HOME , ORACLE_SID and PATH before running this command. reports, is handled in accordance with your company's policies.